Our goal is to curate and create a collection of educational materials and resources for recreational boating advocates that help make our communities, families and friends safer on the water. Boating is at the top of the fun chain, but it’s serious fun. When we recognize that, together we can make a difference, 365 days a year. Check out the new videos on our website. ALL FREE DOWNLOADS! Thanks to America’s Boating Channel for creating these great resources. Boat Live 365 shared a post. 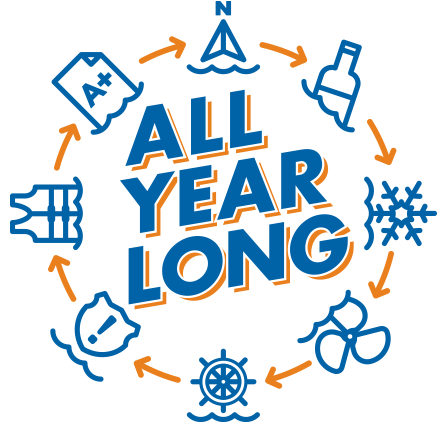 Through our partnership with America’s Boating Channel, we now have several video resources available from our website. ALL FREE!! We’re curating an idea board and would love your input! Follow our pinterest community! Add and share your ideas, tips, and pictures on spreading the word for safe boating education. Built by boaters, for boaters, America’s Boating Club has a wide variety of safe-boating education. Visit our resource library for downloads, event materials, tips and ideas on how to create a safe boating culture 365 days a year. To truly spread the Boat Live 365 message, please make a concerted effort to discuss and promote all of the “Serious Fun Topics” together, all year long.